1960s Drag Racing was a time for exciting advances in speed and automotive technology. 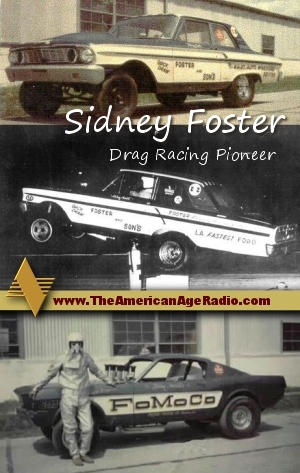 One of the pioneers in early drag racing is Sidney Foster. He is among the very first to break 200 MPH in the 1960s. He did it in a Funny Car. 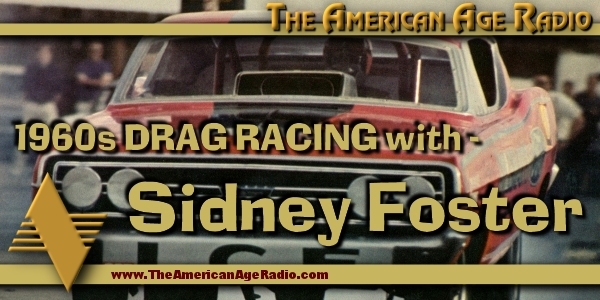 Sidney joined us from New Orleans to talk about those exciting days of drag racing in the 1960s. His time in drag racing began many years before in the 1950s at local and regional drag strips across the Southeast. Back then he was just like most others who were not only the drivers but also the builders and mechanics for their cars. ABOVE: Sidney Foster piloting the Coleman Super Ford “funny car”. This was the machine that Sidney first broke 200 MPH in the 1/4 mile drag race in Delaware. 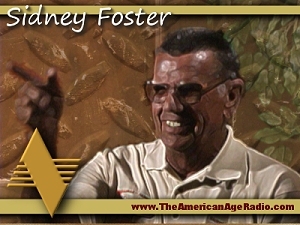 Through the years, Sidney Foster designed, built, souped up and drove an amazing variety of cars in drag racing. He began with many brands of cars including the South Eastern famed Chevy “Black Trash” until settling in with a long run with Ford. In the early 1960s, Sidney was a ferocious competitor in his Ford Thunderbolt. It was his relationship as driver with Coleman-Taylor Transmissions based in Memphis, Tennessee where he found the technical support that lead to his national fame. One of the few to take a Ford Torino funny car (the Larry Coleman Super Ford) and make it stand out as among the very, very few to break the 200 MPH barrier in the 1/4 mile. Today, Sidney Foster is still racing. 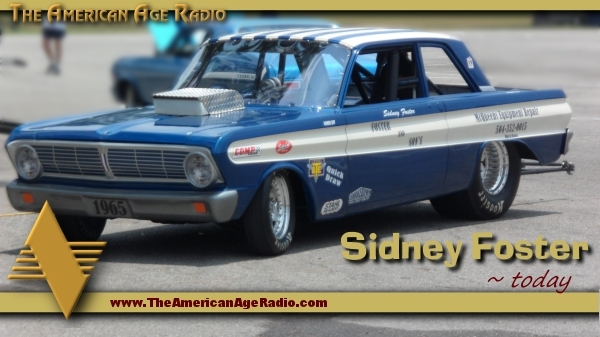 Sidney can be found somewhere on just about any weekend on a track or at a car show or drag racing event. 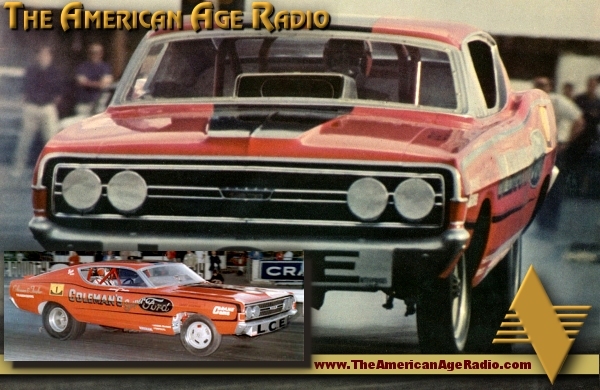 In his interview on The American Age Radio, he gave lively and personal stories of the days when drag racing was new and exciting. He spoke of his match races with other well know drivers and their cars as well as hair raising incidents. Shortly after this interview, in mid October, Sidney had what doctors thought was a stroke. he has since been diagnosed with brain cancer and is currently undergoing radiation therapy. Thanks so very much for the update Dedra. 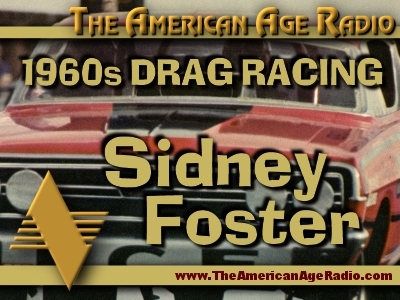 I was very honored to have interviewed Sidney for The American Age Radio and of course for interviewing him on film in Florida for the upcoming early Drag Racing feature film in the works. I have a lot more material to present from Sidney’s call in talk. The episode with him will be available in the not too distant future about his early 1960s Drag Racing days. My initial goal was that I could not have thought of anyone else other than Sidney Foster who would best illustrate the pioneering and adventurous American Spirit to go on the program with the guys from the original USS Nautilus crew. Thanks so much again for letting us know how Sidney is doing. We continue to have Sidney, you and your entire family in our prayers.